Golf Courses & Pro Shops - Sun City, Arizona - The Original Fun City! 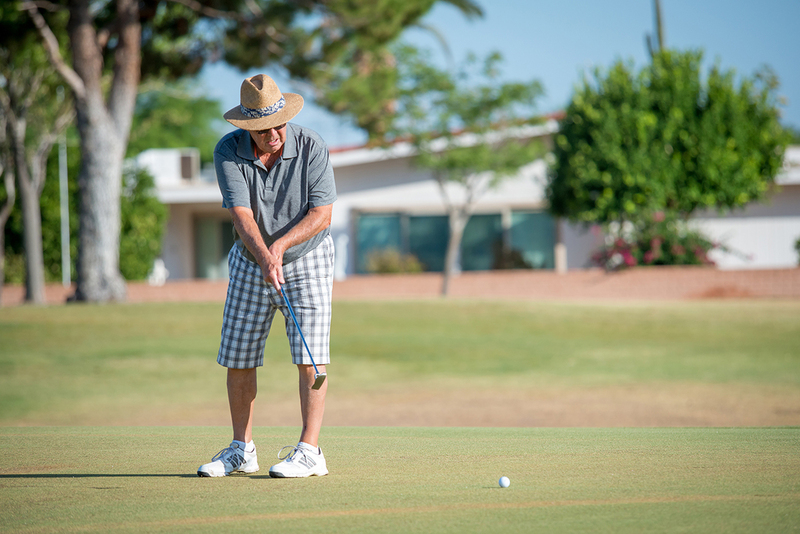 No other active adult community provides you with a different golf course to choose from each day of the week and more. It’s time to tee it up at Sun City AZ’s eight courses. 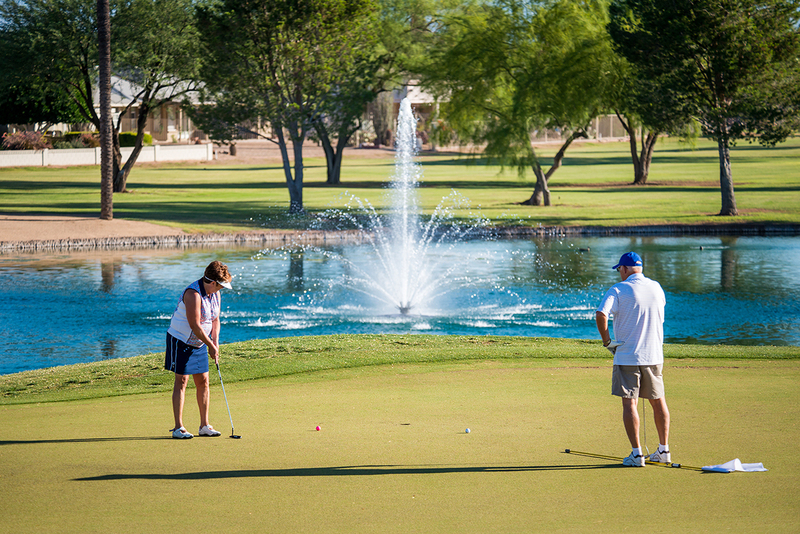 The Recreation Centers of Sun City, Inc. (RCSC) owns and operates eight courses in Sun City AZ with year-round play to RCSC Cardholders for a reduced rate. With five championship courses and three executive courses spanning 1,100 acres, all within just six miles of each other, you won’t mind this short drive. 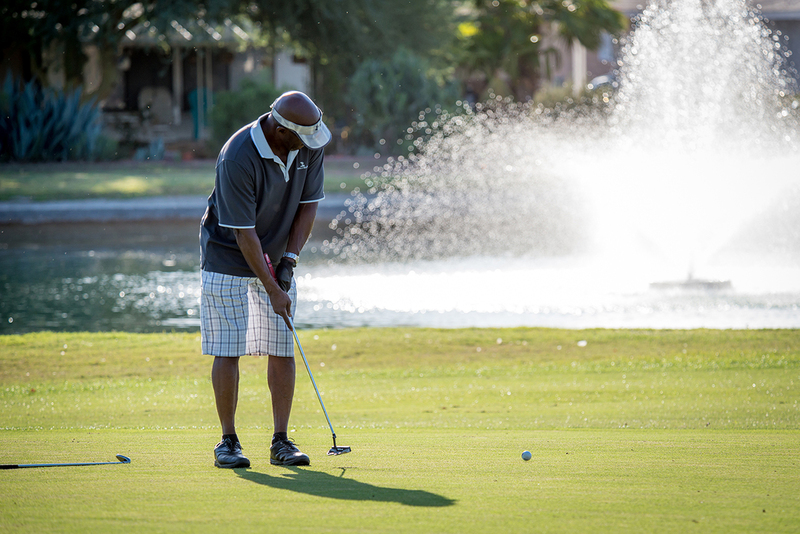 Sun City AZ – Where you can play a different course every day! 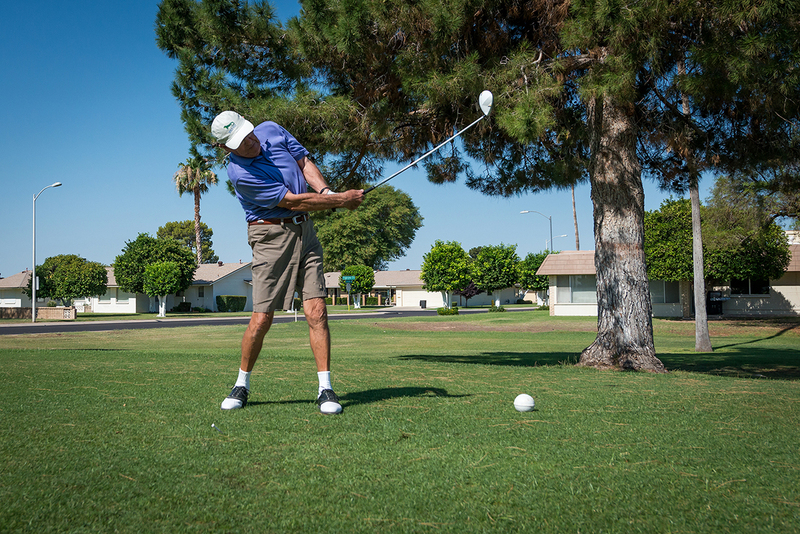 This is where it all began, the original Sun City Golf Course developed by Del Webb. Large trees line the holes, which features very few straight golf holes, providing a lot of variety. Recently renovated tees, greens, and bunkers give this course a modern touch while keeping the course very playable for everyone. 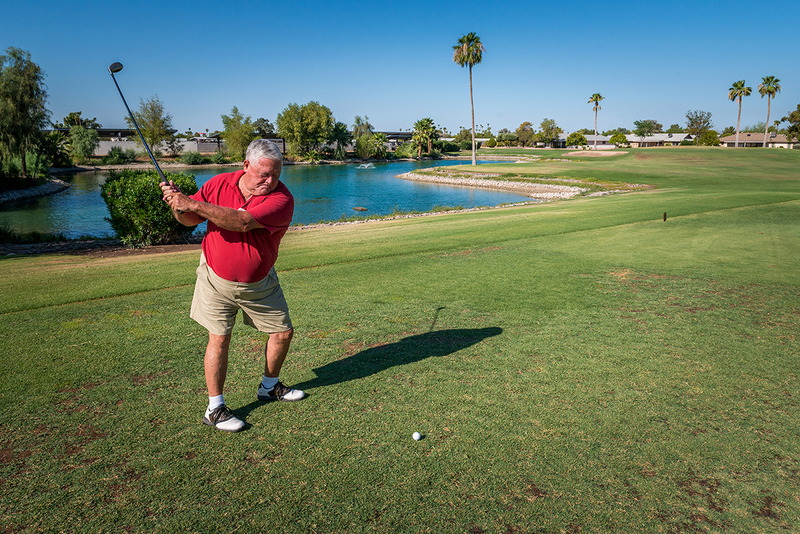 Wide fairways, strategically placed bunkers and open approaches into the greens makes the Lakes West Golf Course one of the most popular courses in Sun City. Meandering streams and strategically placed lakes add challenge to this course that is enjoyable for everyone to play. The Riverview Golf Course always had a reputation for big and bold greens and that was always the distinguishing characteristic of this course. Today, that is no different. What also makes Riverview unique is that it has the most movement from tee to green than any of the other course. With water and/or the “creek” adjacent to many of the holes, wide golf corridors with only homes on one side, softly rolling fairways, mature trees, and fun greens. 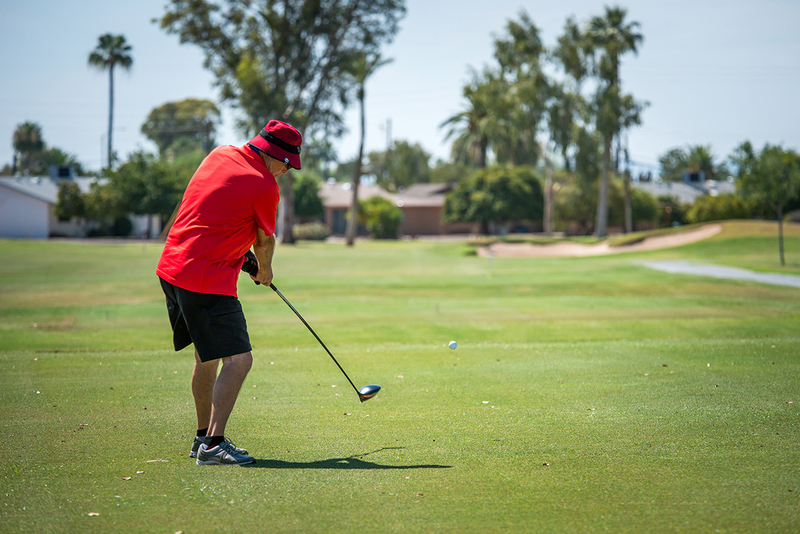 The Willowcreek Golf Course gives the golfer a little bit of everything and will be a course you will want to come back to play again and again. The 18-hole executive course at Lakes East is not just a course, it is a Sun City golfing experience. 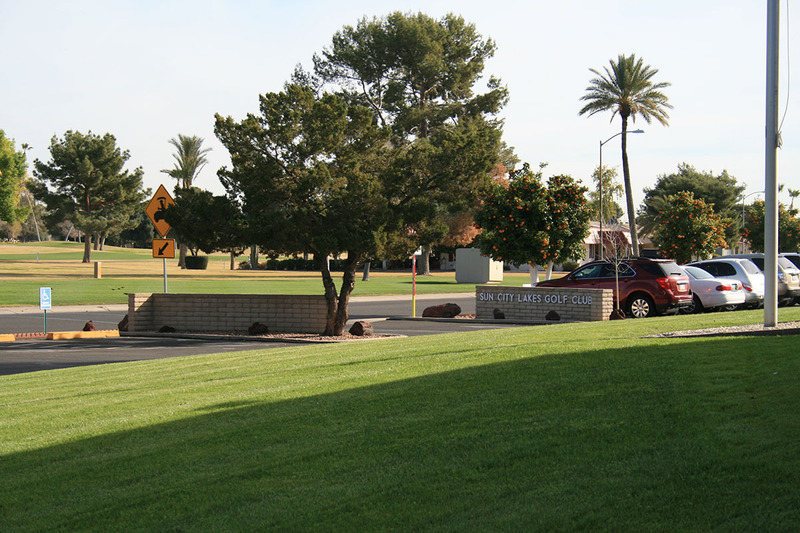 The course features a newly planted desert landscape featuring many low-water use plants. Golfers will enjoy a good variety of par 3’s and a few par 4’s mixed in. Quail Run is a 9 hole course with 6 par 3’s, two par 4’s and one par 5. The Quail Run Golf Course is also designated as a Certified Sanctuary by the Audubon Cooperative Sanctuary System, the education division of Audubon International. Keep an eye out as you play this course as a good variety of wildlife call it home. Ask most of the golfers in Sun City, even those that typically play the regulation courses and many will say that the Executive Course at Willowbrook is one of the most fun to play but also one of the most challenging. Proving that you don’t need length to still have a fun test of golf keeps all the Sun City golfers coming back here to play.